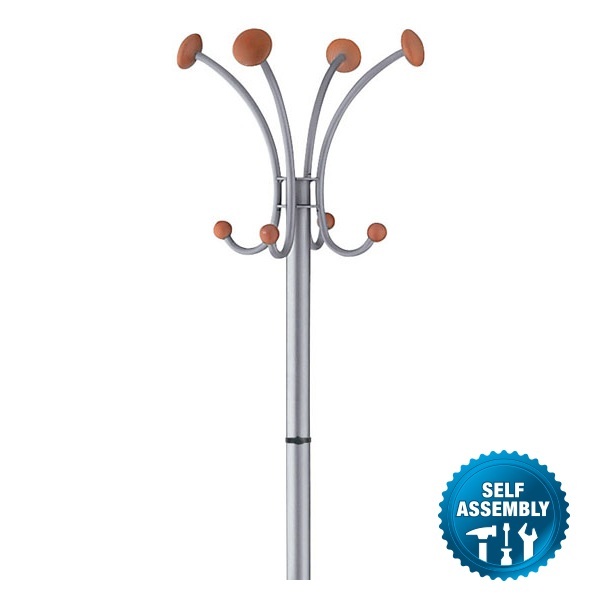 An innovative and dynamic design coat stand with adjustable coat hooks. Stand has 5 wooden adjustable coat hooks and an integral umbrella stand. Made from tubular steel with a heavy metal (with cement) base for stability. Metallic steel tube with wooden accessories. 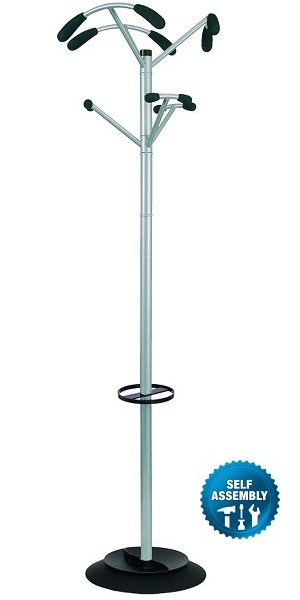 A classic design coat stand with a modern update. Stand has 8 black adjustable coat pegs. Integral umbrella stand. Fit up to 6 umbrellas. Metallic sillver tube and black ABS plastic coat hooks. 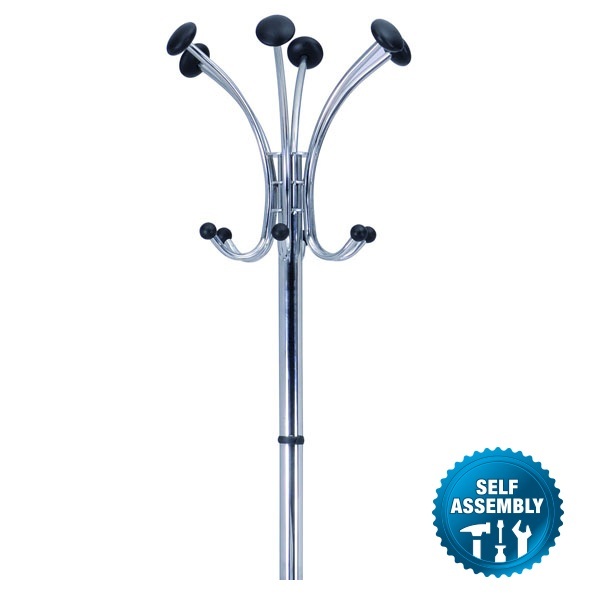 Traditional, yet stylish design coat stand with sophisticated chrome finish. Stand has 6 coat pegs and 6 hooks for accessories such as hats or scarves. Umbrella holder with removable water retainer for easy cleaning. 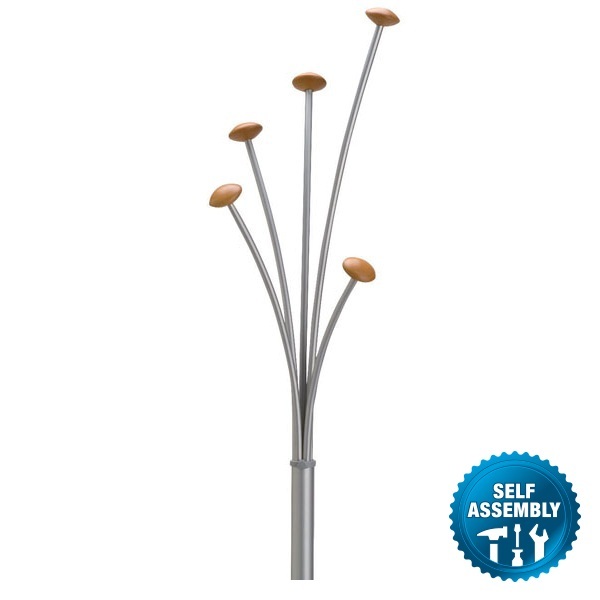 Made from tubular steel with a heavy base for stability. Stylish combination of chrome and black plastic. 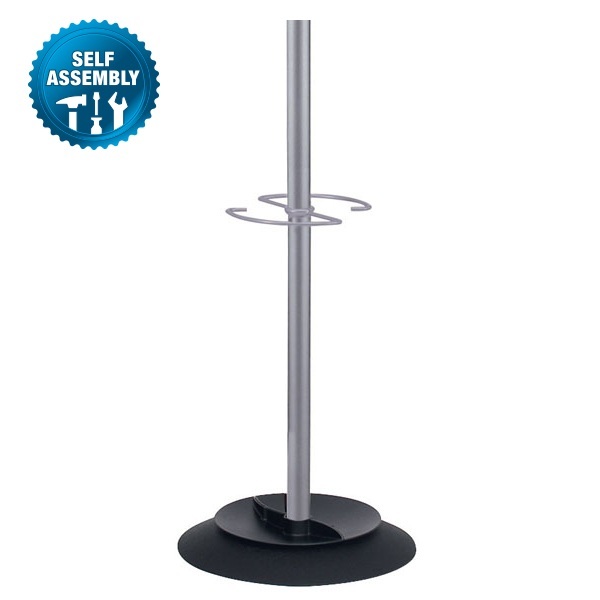 A modern design for a classic coat stand. 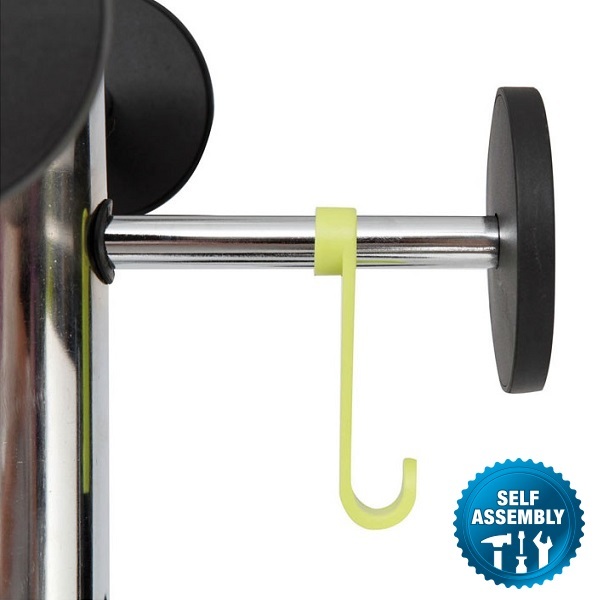 Stand has 4 rounded wooden coat hooks and 4 rounded wooden hooks for accessories such as hats or scarves. Stylish metallic grey and modern wooden hooks. 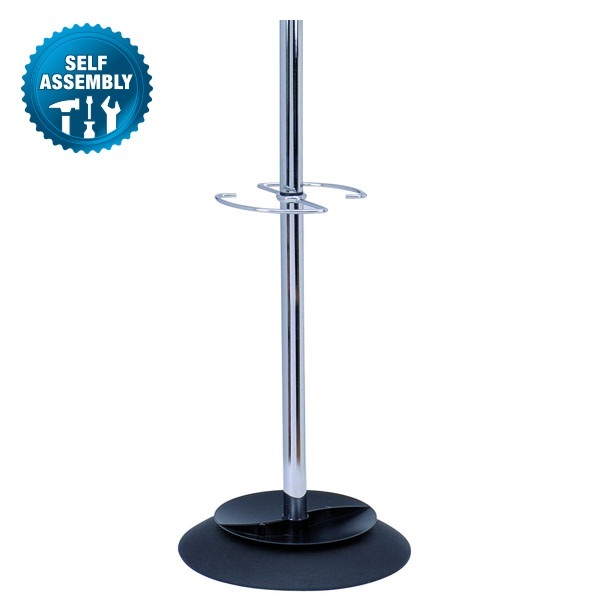 New modern, innovative and elegant design coat stand. Stylish metallic grey and modern black foam hooks. 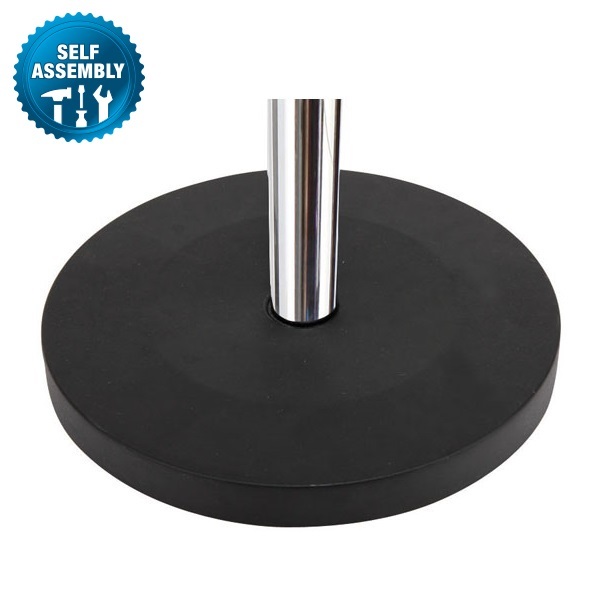 Strong and stable, modern design plastic umbrella stand. Manufactured from ABS & PVC with PP side panels. Holds up to 10 umbrellas with slots for ventilation. Do-it-yourself without using any tools.